The Kenmore 158 series was manufactured by the Sears Corporations in the late 1960s and early 1970s. This machine was known for its heavy-duty construction and cam accessories, allowing for a wide variety of stitches. The Kenmore 158 series was an affordable, heavy-duty sewing machine produced in the 1970s. The Kenmore 158 was constructed of an all-metal case and parts, excluding the plastic cams. Because of this construction, the 158 was a high-quality, heavy-duty machine that could handle fine fabric and heavy upholstery-weight fabric. The gears and shuttle construction require regular oiling and are easy to access for this purpose. 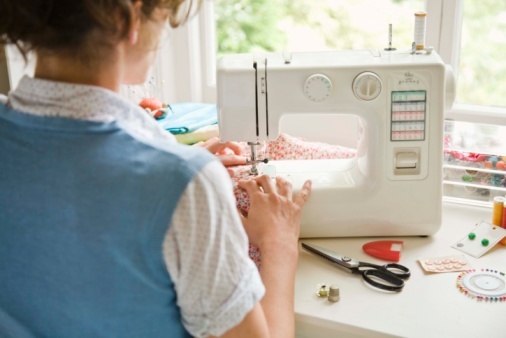 The Kenmore 158 came with a set of standard accessories, including bobbins, an assortment of needles, screwdrivers for maintaining the machine and placing the cams, and a variety of cam attachments for different types of stitches. In addition, the Kenmore 158 came with a zigzag foot, general purpose foot, darning plate and edge stitch foot. The evolution of stitches can be seen in the many makes and models of the 158 series, but the wide assortment of cam assemblies allowed for many different kinds of stitches. The first models had straight and zigzag stitches. The later models included darning stitches and some decorative heirloom stitches.